If you have been wanting some unique decor items to spice up your kitchen, check out our kitchen accessories section! Here you will find odds and ends that will really transform your cooking space into something unique. We carry medieval, pop culture, and fantasy kitchen gear here, including dragon and superhero cookie jars, spatulas, dish towels, and more. Check out skull measuring cups and mixing bowls as well as beautiful fleur-de-lis cookbook stands and paper towel holders that will bring Renaissance beauty to baking experiences. 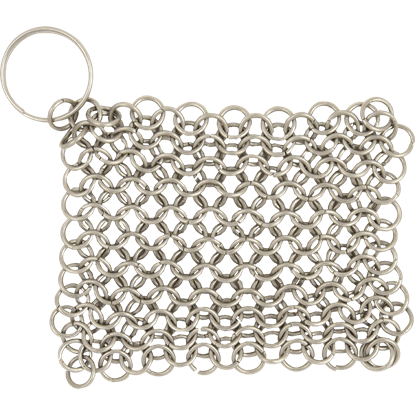 Make your kitchen reflect your personal taste with novelty salt and pepper sets, fantasy art serving trays, and more from our medieval kitchen accessories section. Any piece of your household furnishings can be made to suit a particular style or decorating theme. 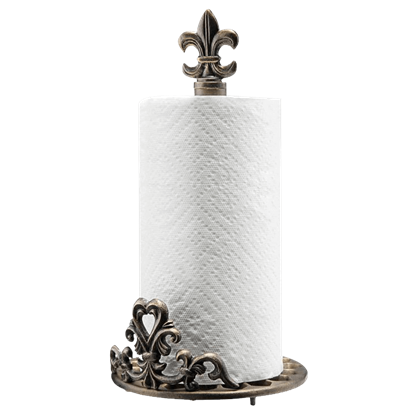 The Fleur de Lis Paper Towel Holder allows you to match your kitchen accents with this classic fleur de lis design. You will not have to fear leaving your baked goods alone while you have this fellow guarding your stash! 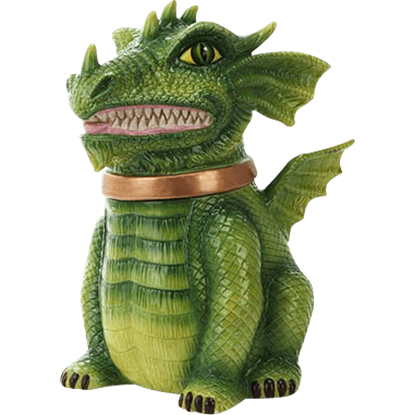 The Green Dragon Cookie Jar holds your goodies within his belly, baring his teeth at any who dare to trespass in his domain. Who knew that adding a hint of macabre to everyday life would be this practical! 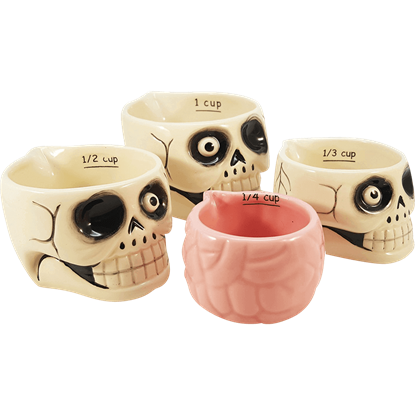 In an adorable twist on classic kitchenware, the Nesting Skulls Measuring Cups provide charming gothic flair without compromising on needed function. 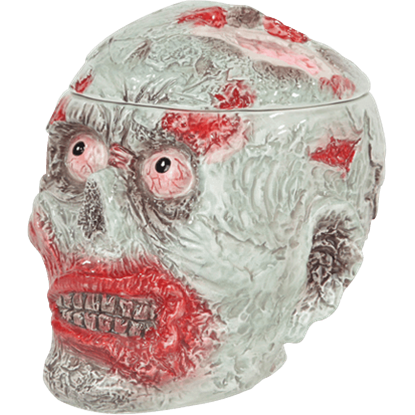 The perfect kitchen accent for this Halloween, the Zombie Head Cookie Jar has a top that lifts to reveal space for your favorite snacks, making it look to the casual observer as though you are enjoying some brains!